Apologies to rose connoisseurs, who will no doubt be screaming that the rose in the photograph is not Gloire de Dijon. Sadly, I do not have a Gloire de Dijon rose, so I’m claiming poetic licence. 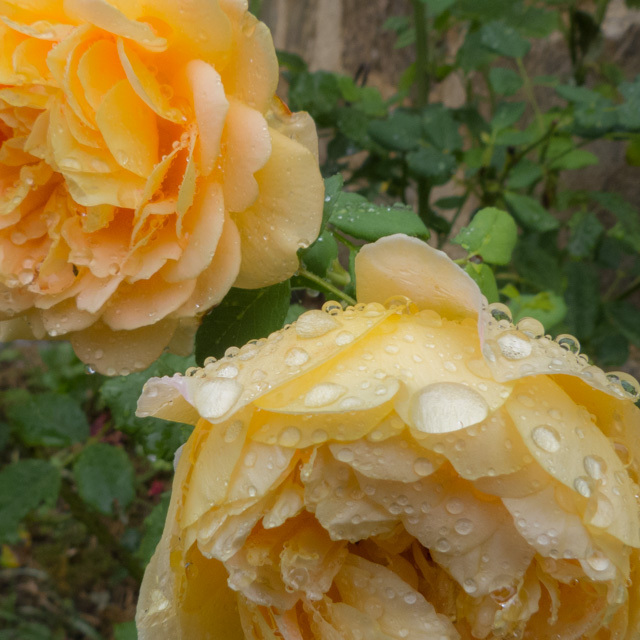 I love this poem by D H Lawrence, and really wanted to include it, so I decided to use this picture of my rose Golden Celebration. It is the right colour, and it does indeed have rain-dishevelled petals, so I hope you’ll forgive me. Lawrence is, I think. much better known as a novelist, but his poetry is also worth exploring.